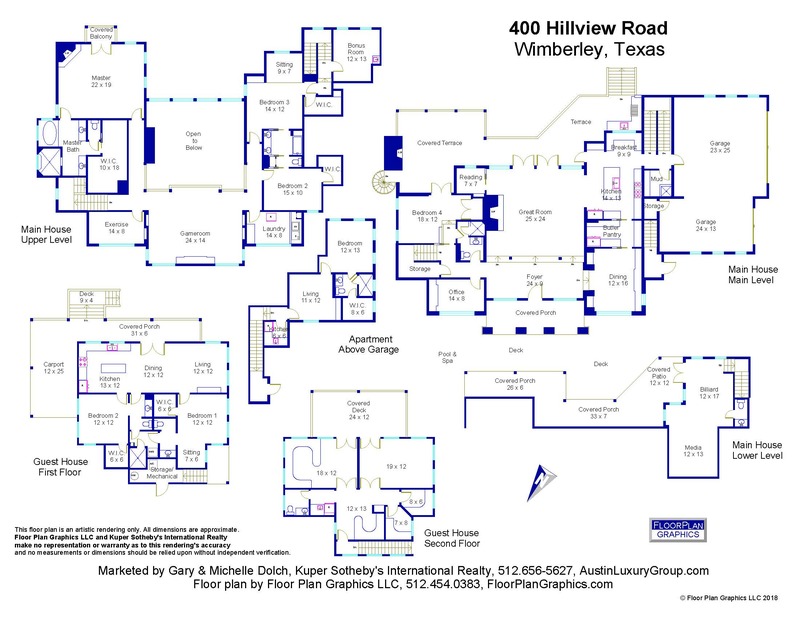 Enjoy the Wimberley lifestyle in this fabulous 7 bedroom, 8 bath custom and guest house. Built in 2013 with a clean and well-designed floor plan. With approximately 8,421 SF combined and 12,000 SF blended this estate offers room for friends and family alike. No longer a secret, Wimberley has quickly become a cherished getaway destination nestled right in the heart of the Texas Hill Country, between Austin & San Antonio. Sitting on 4+ acres graced by a natural spring named after Keep Wimberley Beautiful founder Martha Knies, 400 Hillview was thoughtfully designed to capture scenic views, carefully customized to compliment the hill country, smartly upgraded, and beautifully accommodating. Fully serviced by rainwater collection & purification system. 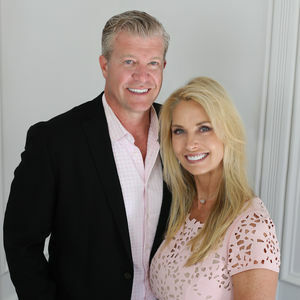 Main residence features office, media/game room, guest suite, meditation/reading spaces, an expansive new deck, pool & spa, and garage apartment. Additional 2 bedroom Guest House + Business Office Suite offer an incredible opportunity for the entrepreneur to work amongst the most coveted and serene views while enjoying true Texas hill country living. This beautiful property will sell fast! Send an inquiry in the form below.